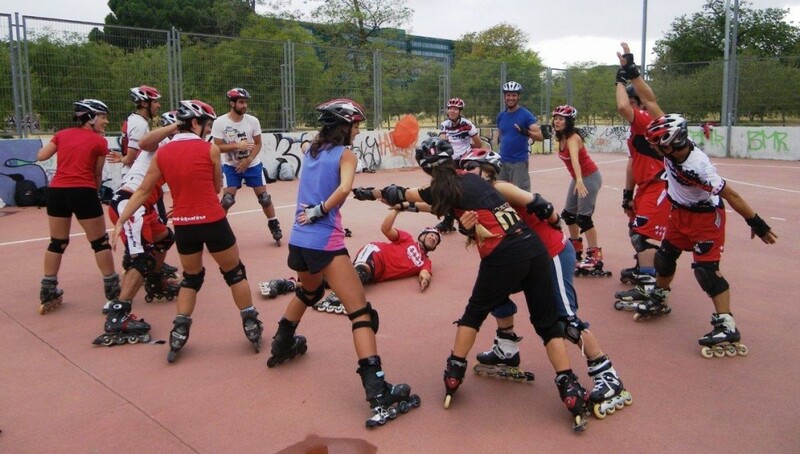 It is always with great pleasure that I come to Madrid to skate with Madridpatina. I first came in 2009 to certify them in ICP Levels 1, 2 and 3 and now they had another 17 instructors to put through the ICP Level 1 training. 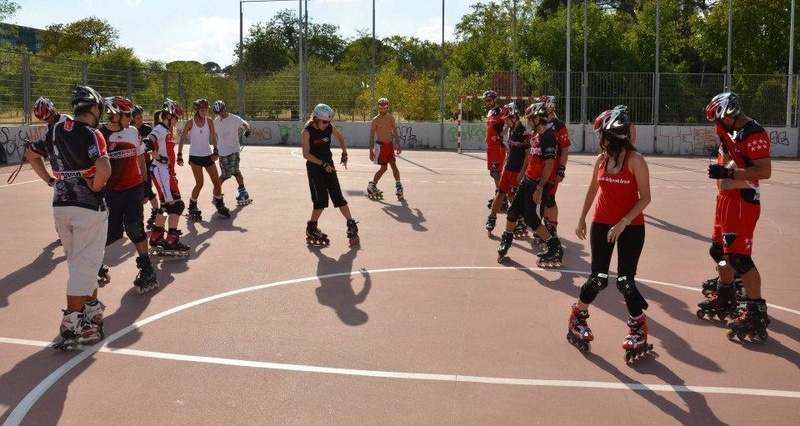 Madridpatina is the largest skate school in the world with 38 active instructors and a huge client base of enthusiastic and involved clients. 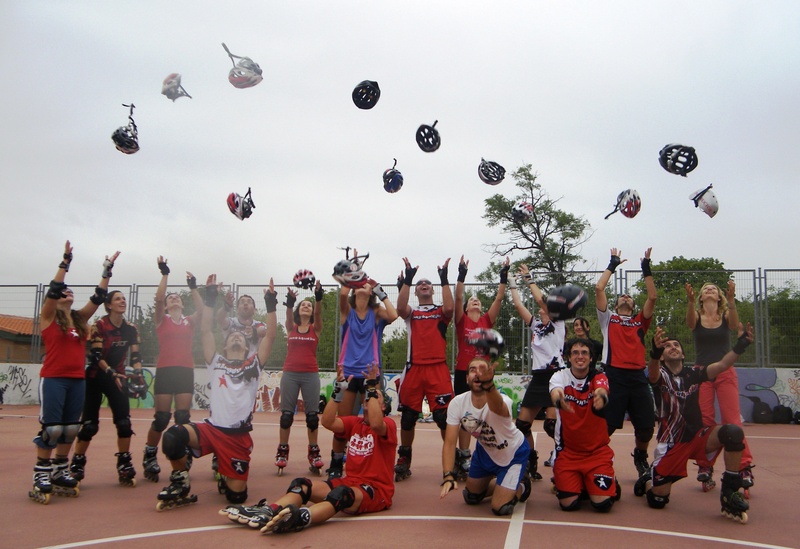 The skate industry in Spain is experiencing a huge boom and Madridpatina value the ICP certification and are the only Spanish instructors with ICP accreditation. We took advantage of me being in Madrid to run SkateDance workshops for their clients (beginner and advanced levels) and also an instructor development session with their 12 full time instructors. The ICP course began with the usual Friday night theory session of discussion and expansion of the ICP teaching model and codes of practice. 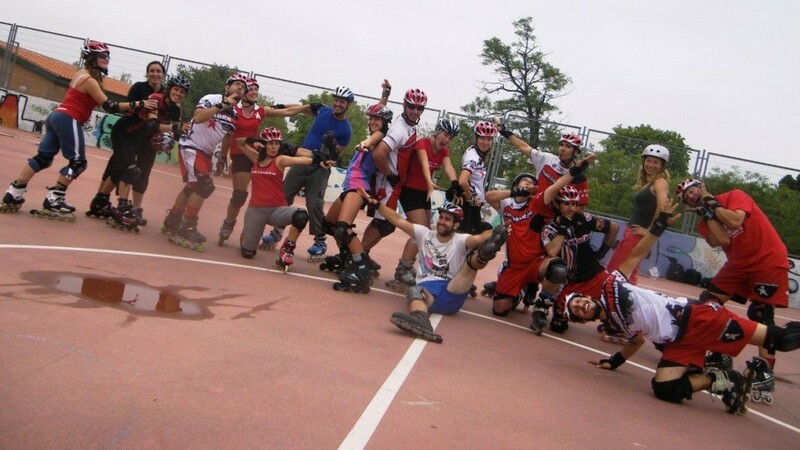 There were 17 participants, most of which have already been through Madridpatina’s internal instructor training, so they were above average in skate ability and teaching experience. 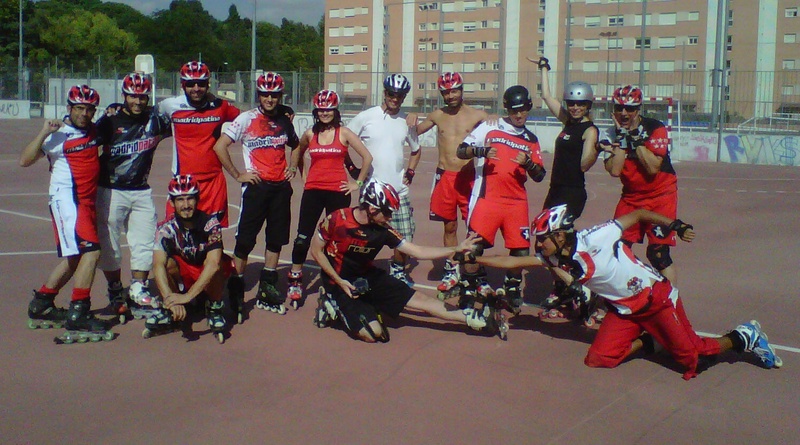 On Saturday we had an extremely long day of skate and teaching practice in very hot conditions. The courts where we skated felt like an external oven and there was no wind and no shade. It has been the hottest and driest summer in Madrid for over 50 years. 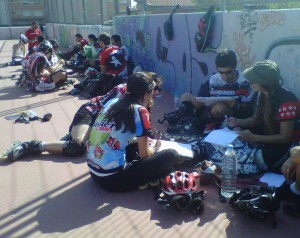 On Sunday we started the teaching exams with each skater teaching a 15 minute lesson to 4 colleagues. I was impressed by how everyone managed to keep their energy and enthusiasm up as the day progressed, as this is often the most tiring part of the weekend. I certainly have never marked that many exams in one day. The searing heat suddenly changed and as we finished the teaching exams a cool wind came over which was refreshing, but then followed by a heavy downpour. This was the first rain to have fallen all summer in Madrid and as an English woman carrying an umbrella in the morning (to give me shade while marking exams), it was jokingly deemed my fault! This was however the first ICP test ever where I gave full marks to each candidate for their backwards powerslides, as the wet ground created a wonderfully slide-able surface. We used our technical skills to continue skating on the damp ground as it dried out, choosing low speed skills with little edging while it was still wet. By the time we finished the skating skills exam the ground was dry and as the exams and the skating part of the weekend came to an end, the relief and sense of accomplishment from everyone was palpable. Congratulations to the 15 candidates who passed the test and are now ICP certified. I look forward to returning, hopefully in 2013 as I always benefit and have so much fun working with Madridpatina. I am received with so much ‘carino’ and reminded of the great friendships I have made here. It is always so useful for skate school owners to meet and talk and exchange ideas. 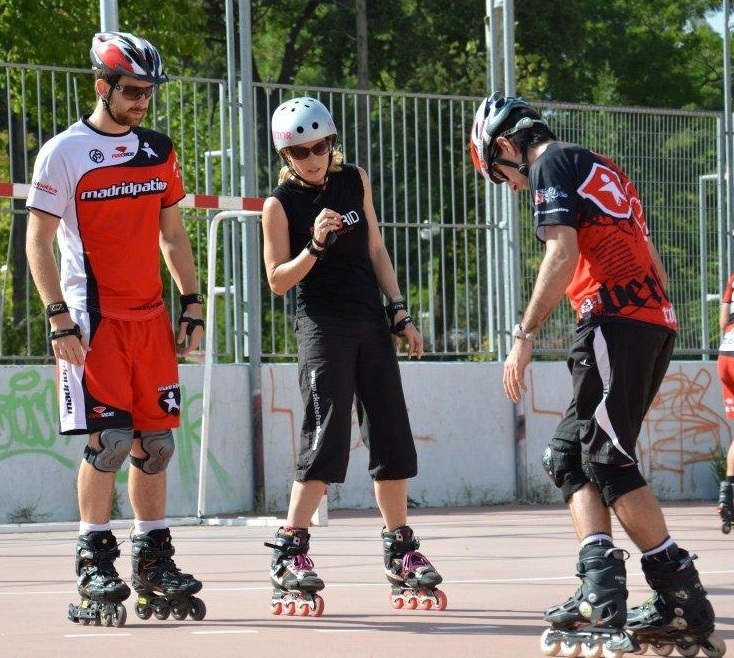 I recommend anyone visiting Madrid to contact Madridpatina, join their classes or regular tours, as you will not have more fun on your skates anywhere else.